You Want to What on A Monday Morning? Getting picked up by smarmy French guys with cheesy pick lines isn't exactly the thing one really wants to deal with on a Monday morning but, hey, like just about everything else these days, there's an app for that. And it's a branded app. Hence, we write about it to fulfill our duty to you loyal readers. Aren't we special? 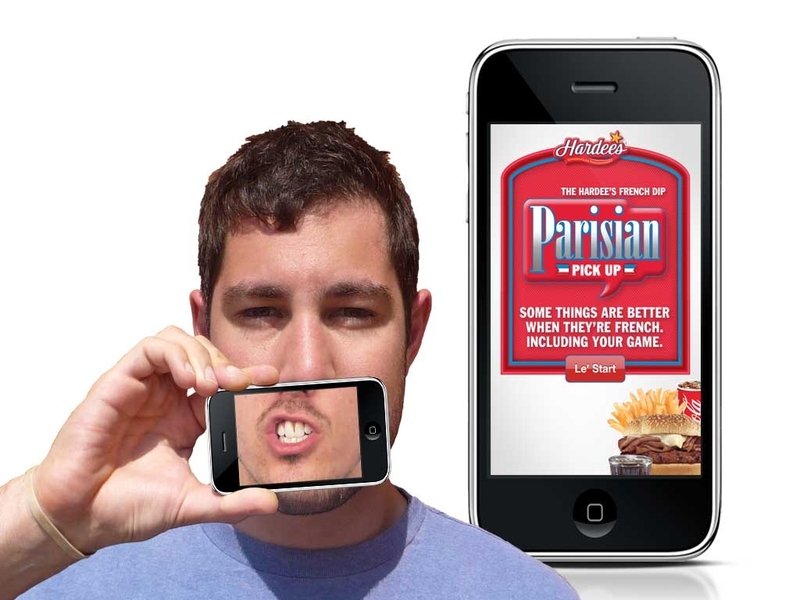 So Hardee's - excuse us - Le Hardee's is out with Parisian Pick Up Tool, an app for "young hungry guys" which helps them pick up girls, insult their friends and, yes, ask for a discount at Hardee's...all in French. Users can select their favorite French mouth image, select a message, and then hold the screen over their mouths to deliver it with a swarthy French accent or in perfect French with subtitles. The app also has coupon that can be used in-store. We have LA's 72andSunday to thank for this Monday morning slap in the face.